Abzena is a global integrated solution and proprietary technologies company to enable the development and manufacturing of biopharmaceutical products. Adesis, Inc. is a US-only operated non cGMP chemistry CRO. We specialize in small molecule syntheses involving heterocycle chemistry, stable isotopes, reference standards, impurity syntheses, metabolite syntheses and advanced intermediates in mg to multi kg scale. Adesis has scientific depth with staffing versatility with over 55 chemists (80% Ph.D.) split 50/50 between discovery chemistry and process/scale-up chemistry. Our versatile 47,000 sq ft facility is designed to be flexible to accommodate the needs of our clients. We have 25 years of proven performance with a 99% project success rate supporting three areas: early stage research, scale up and development, and specialty manufacturing. Advinus Therapeutics is a premier Contract Research Organization. Our Chemistry Services support discovery, pre-clinical and early clinical development programs. We provide services in Medicinal Chemistry, Custom Synthesis, Process Research and Development. We expertise in focused Library Synthesis to gram scale synthesis for efficacy and toxicology studies, to multi kilogram scale cGMP scale-up for early clinical development. These services are provided on both fee-for-service (FFS) and full-time equivalent (FTE) basis. Our best-in-class infrastructure, QP-audited cGMP facility and competence in discovery chemistry and process research enable us to develop cost-efficient, environment friendly, safe and robust processes that can lead to development of drug candidates for timely delivery. Almac Group provides world-class, integrated solutions to the global pharmaceutical and biotechnology industries. Our services include process R&D, custom synthesis of API; micronization, 14C radio-labeling, formulation and analytical development; commercial-scale manufacture; packaging; storage; QP release; supply chain management; diagnostic/genomic services, preparation of clinical supplies and technology solutions (IVRS /Web/EDC). Eurofins Alphora provides API technology development services for complex niche small molecules, covering pre-clinical to Phase III and commercial manufacturing. Alphora operates FDA-approved facilities totalling 51,000+ ft2 including cGMP Kilo Laboratories and cGMP Plant operations, R&D and Analytical laboratories, QC/QA, as well as a separate high potency/cytotoxic facility. Axyntis, French CMO with 6 GMP manufacturing sites in France, offers a broad range of chemistry and technologies, making it a reliable partner, with experienced teams. BCN Peptides is focused on the cGMP Industrial Manufacture of Bioactive Peptides for Pharmaceutical applications. We manufacture from gram until multi-kilo batches of GMP Peptide using SPPS technology. Excellent GMP compliance track record: FDA and EDQM Approved. We manufacture from the R&D, through batches for the Clinical Trials, up to Bulk Commercial Quantities. Moreover we have been authorized (since March 2010) to work as Pharmaceutical Laboratory for the Quality Control of final Drug Product. Cambridge Isotope Laboratories, Inc. (CIL) is the world leader in the manufacture and separation of stable isotopes and stable isotope-labeled compounds. CIL offers highly pure compounds that are uniformly or selectively enriched in 13C, 15N, D, 18O or 17O, with more than 15,000 products for use as internal standards, in clinical trials, and in synthetic applications, including the manufacturing of APIs. CIL operates the world's largest 18O and 13C separation facilities and one of the only privately held D2O re-enrichment facilities to supply enough stable isotope raw material for your application. CIL's capabilities range from milligram to multi-kilogram of deuterated reagents and intermediates for any deuterated drug applications. In addition, CIL's cGMP suites can manufacture stable isotope materials to support any phase of a clinical trial or bulk APIs. Central Glass Germany is dedicated to process development, upscaling and production of active ingredients and intermediates for the pharmaceutical and cosmetics industry. It operates a FDA and EU inspected facility in Halle-K�nsebeck, which it acquired from Girindus in June 2008. An experienced and highly skilled team of organic chemists and support functions, such as analytical specialists and QA/QC team, ensure success and high quality of our projects. New Jersey based CRO and CMO company with cGMP facility that provides broad spectrum of services including Custom Contract R&D, Custom Syntheses, Process Research/Scale-Up, Analytical Method Development and Impurity Isolation, and Small Lot Manufacturing to Pharmaceutical and Biotech companies during drug discovery, testing and clinical trial periods. Chemo Dynamics operates from a 15,000 sq. ft. facility equipped with a state-of-the-art analytical lab, seven non-GMP labs and two GMP labs. We also provide GMP services and have Schedule II-V Controlled Substance License. Skilled and knowledgeable company that provides solutions to a wide range of custom chemical challenges for the client in the pharmaceutical, biotechnology, and flavor & fragrance industries. Our chemists are at the cutting edge of new developments in the pharmaceutical and biotechnology areas. We can be considered Creative, Innovative, Cost effective seamless extension of your internal team. Committed to the success of our clients. Fastest concept to quantity in the industry for quick market entry. Chiral Quest is a US-based company founded in 2000 and Jiangxi Long Life was founded in 2009 near Nanchang, China. In May 2012 Chiral Quest and Long Life merged to form a single company. Chiral Quest Suzhou is focused on R&D and pilot plant operations and Chiral Quest Long Life is focused on commercial scale manufacture. The combined company has more than 100,000 L of manufacturing capacity, with expertise in high pressure asymmetric hydrogenation and cryogenic reactions. The company has successfully developed and scaled up many processes for the commercial manufacture of both chiral and achiral intermediates. The combination of Chiral Quest's chiral technology portfolio and Long Life's low-cost manufacturing provides a unique service offering in China. Chiral Technologies, Inc. (CTI) is the market leader in the area of enantioselective chromatography. Together with Daicel Corporation, we support all stages of the single-enantiomer drug development process from preclinical studies to commercial drug development. We offer a full range of chiral HPLC and SFC chromatography columns for analytical, semi-preparative and preparative separations. To accelerate drug development efforts, we provide the enantioselective resolution of quantities ranging from 200 milligrams to 200 kilograms of chiral compounds, under cGMP if required. We also provide process development and pilot studies for the manufacture of chiral intermediates of approved drugs. CRB is a global service provider of engineers, architects, constructors and consultants driven to deliver the right solutions to life science and advanced technology clients. Founded in 1984, we have grown to a team of more than 975 passionate professionals in 15 offices across the globe. CRB's single-minded focus on putting our clients' interests first – every day, on every project – defines us as a firm. Crystallics and Pharmavize recently joined forces to deliver streamlined pharmaceutical development services. The combination will provide an integrated service offering consisting of solid state chemistry, analytical & formulation development, drug product manufacturing and dossier development services. The newly formed group is set to become an international, single source contractor for pharmaceutical needs that arise during pre-clinical and early phase drug development. With staff of 80 highly qualified employees and some 40 years of combined experience, the two companies serve a broad customer base from emerging biotech to tier- one pharmaceutical companies in Europe, the United States and Japan. Domainex is a fully integrated drug discovery service company based near Cambridge, UK serving pharmaceutical, biotechnology, academic and patient foundations globally. Domainex provides highly efficient and well considered scientific solutions to enable successful drug discovery programmes against a wide range of targets. Our highly experienced molecular biologists, medicinal, computation and analytical chemists have a strong success record in drug discovery, delivering on average one candidate drug every year for the past six years. Based in South Windsor, CT is a global contract research, development and manufacturing organization serving Pharma and Biotech companies for the last seven years in drug discovery and development of small molecules. Escientia has a proven record of solving challenging synthetic chemistry problems by developing novel patentable routes that are safe, economical, and scalable for commercial GMP manufacturing of regulatory starting materials, advanced intermediates, and APIs. Our core strengths are in the design and development of novel commercial routes, asymmetric synthesis using organo-metallic catalysts and biocatalysts, heterogeneous and homogeneous catalytic hydrogenations, continuous reaction technologies, low temperature reactions, High Potency intermediates and APIs, and hazardous reactions. Over the last seven years, we have successfully offered these services to more than 15 clients (65 projects) including start-up companies and large pharma/ biotech companies in the USA and Europe. We have successfully contributed in the discovery, development, regulatory support and launch of 4 new drugs (one of them became the largest selling drug) and our collaborators have filed 5 process patents. Evonik Industries offers a full range of custom API manufacturing services as well as oral and parenteral formulation development expertise. Our global manufacturing footprint and technical expertise provides unique flexibility and problem solving capabilities to meet your most demanding project’s requirements. As a global leader in HPAPI manufacturing, we can seamlessly take your project from lab scale through to large commercial multi-ton quantities. Our global development and manufacturing network provides increased flexibility to meet your demanding requirements. At our facility in Lafayette, IN, which has been producing commercial quantities of HPAPIs for two decades, we operate with OELs <0.1 µg/m3. Evonik has experienced people with the right expertise, the right equipment and the right motivation to see your high potency projects from clinical stages through commercialization. Our offering also includes the manufacture of non-exclusive intermediates and APIs such as L-tert-leucine based building blocks, Lisinopril, Lorazepam and Nifedipin. We also offer amino acids, amino acid derivatives, and small chain peptides for parenteral or oral nutrition, or as building blocks for synthesis. For your formulation needs, Evonik produces functional excipients for modified oral delivery (EUDRAGIT®) and bioresorbable polymers for extended release parenteral formulations or medical devices (Resomer®). We offer formulation development services for both oral and injectable forms. Evonik has expertise in solubility and bioavailability enhancement of oral formulations utilizing spray drying, hot melt extrusion and other proprietary technologies. We also have expertise in injectable extended release formulations including microsphere, gel and implants. Custom manufacturing services for oral drug products from preclinical to clinical phases as well as parenteral drug manufacturing from clinical through drug commercialization are also offered. Welcome to Fermion! We are one of the leading companies active in API's for the innovative and generic drugs industry. Founded in 1969 as a company developing products through fermentation and being a daughter company of Orion Corporation, we offer Contract Research and Manufacturing Services to third parties worldwide. Ten innovative products, for which Fermion developed the API, have either been filed or launched/commercialized worldwide. Fuji Chemical Industries USA is a wholly owned subsidiary of Fuji Chemical Industries Co. ltd. Founded in 1946. Fuji's primary mission is to provide high quality and unique specialty excipients as well as providing spray drying solutions for the pharmaceutical industry from R&D to full commercial scale. Fuji is a recognized as a leader in spray drying technology with over 50 years of experience in open-cycle spray drying and near 20 years in closed-cycle spray drying. We can offer cGMP manufacturing, QbD support and can handle highly potent APIs. FUJIFILM Finechemicals is a pharmaceutical contract manufacturer with cGMP facilities for production of API, spray drying and finished dosage forms. We have particular expertise in spray drying which can be used to improve API properties and develop amorphous solid dispersions for increased drug solubility and bioavailability. We have world-class capabilities developed over decades of experience and offer customized services to support projects from early-stage development through commercial production, including custom formulation services. Helsinn is a leading Swiss CMO located in Biasca, Switzerland with over 30 years of experience in chemical development and cGMP manufacturing. Helsinn serves small to large biotech and pharmaceutical clients, supporting analytical and process development, manufacturing scale-up, optimization, registration and validation for mid to late stage clinical and commercial compounds. While focusing on synthetic NCEs, Helsinn performs a wide variety of services and chemical syntheses (see those called out below). In addition to advanced intermediates and traditional small molecules, Helsinn has developed deep experience and strong competency in high containment manufacturing. Biasca possesses world class segregated facilities capable of handling highly potent, highly active, cytotoxic and other bulk drug substances that require specialized expertise, and appropriate containment equipment. Helsinn has over 15 years of experience with HPAIs (or HPAPIs) and the recent expansion of the new CYTO facility now offers fully segregated development and manufacturing for this special class of compounds. Helsinn offers comprehensive CMC services including regulatory and pharmaceutical support for all API needs. The production plants have a very successful global audit and inspection record with partners and regulatory agencies alike. Helsinn has been inspected by the FDA, Swiss Medic, PMDA, and the Korean agency. Helsinn’s most recent audit and PAI was April 2014 by the FDA with no 483 observations. Production scales range from hundreds of grams up to tens of tons for APIs in fully dedicated cGMP plants. Capabilities and Helsinn services are customized according to client needs on an exclusive basis. Integrated Analytical Laboratories (IAL) is a NJ CRO providing practical optimization strategies to meet the analytical development requirements of all types of raw materials, APIs and drug products. Our services include full method development, validation and stability testing of in-process and finished product samples. Our consulting services include forced degradation studies to help solve the most complex analytical problems. IAL's 20 plus years of focused expertise allows accelerated scheduling to help assure successful product commercialization, a key benefit for small or virtual companies. Our insight and focused experimental design experience allows us to get the analytical development process right the first time. We work with products in various therapeutic areas, at all stages of development, filing, approval and commercialization. We help with formulating regulatory strategies and interactions with the FDA, and are experienced in preparing validation and testing protocols, product specifications and analytical reports for CMC submission. IAL specializes in Elemental Impurities testing by ICP/MS. We can help you qualify your materials, APIs and products in accordance with the new USP/ICH <232>, <233>, Q3D guidelines as the deadline quickly approaches. Don't risk delay! Visit us at Booth #64 or contact alanbelkin@ialonline.com to review your project. Target Identification/ Target Validation to Lead Optimization/ Preclinical candidate, for multiple therapeutic areas viz; Oncology, Metabolic Disorders, CNS, Pain, Inflammation, Fibrosis and Respiratory diseases. Functional services comprising of computational chemistry/ molecular modeling, medicinal chemistry, synthetic chemistry, scale-up (Non-GMP & GMP), structural biology, ADME-PK, in-vitro and in-vivo biology and IND enabling GLP toxicology. Kalexsyn's world-class scientists provide hit validation, lead optimization and solving tough synthetic problems. We also provide stable label synthesis and custom synthesis. Our process route development, process improvement and early API team is comprised of a group of senior scientists formerly with large pharma API teams. We offer clients an outstanding CRO experience with fixed quote, tailored short and long term FTE arrangements. Kalexsyn is privately owned with research laboratories in Kalamazoo, Michigan. Utilizing enzyme-mediated synthesis and fermentation technology along with a wide variety of advanced organic synthetic methodologies, Kaneka has established itself as a leading innovator and reliable manufacturer of chiral pharmaceutical intermediates and fine chemicals. LinkChem is a leading China headquartered CMO | CRO provider within the pharmaceutical industry. Our core focus includes: custom synthesis, process development, and manufacturing of key intermediates and API's. OLON SpA, Italian APIs manufacturer founded in 1907, acquired Infa Group in May 2016. Thanks to this merger Olon relies now on 8 European manufacturing facilities, self-identified under GDUFA and FDA-inspected, and offers its longstanding experience and know- how for superior Contract Manufacturing and Development Services to Pharma companies worldwide. OmniChem offers high-technology know-how, quality, flexibility and trustworthiness, based upon personnel of the highest quality, on adapted equipment and multi-purpose facilities. Each project is carried out in close and frank co-operation with the customer’s technical staff and coordinated through an efficient project management system. Pacific Bridge Medical (PBM) was founded in 1988 to help international medical companies solve their most complex problems while doing business in Asia. Since then, PBM has assisted hundreds of healthcare companies with business development and regulatory issues in Asia. We provide our services to all types of medical firms, including medical device, IVD, pharmaceutical, API, biotechnology, OTC, consumer healthcare, cosmetic, and veterinary companies. In addition to our expert staff in the D.C. area, we have our own offices in China, Japan, Singapore, and Hong Kong. We also work with strategic affiliates throughout Asia. Patheon is a leading global provider of pharmaceutical development and manufacturing services. With approximately 9,000 employees worldwide, Patheon provides a comprehensive, integrated and highly customizable set of solutions to help customers of all sizes satisfy complex development and manufacturing needs at any stage of the pharmaceutical development cycle. Piramal Pharma Solutions is a Contract Development and Manufacturing Organization (CDMO), offering end-to-end services required to bring a drug to the market place faster. We offer Pharmaceutical Development and Manufacturing solutions through collaborative partnership models and we work with our customers throughout the drug life cycle. We have created a vast network of Development and Manufacturing facilities located in North America, Europe and Asia that offers a multitude of services covering the entire drug life cycle, from Drug Discovery & Development to Commercial Manufacturing of off-patent Active Pharmaceutical Ingredients (APIs) and Finished Dosage Forms (FDFs). Our capability as an integrated service provider & experience with various technologies enables us to serve Innovator and Generic companies worldwide. Recipharm is a leading contract development and manufacturing organisation (CDMO) headquartered in Stockholm, Sweden. We operate 20+ development and manufacturing facilities in Europe, the US and India. For over 20 years we have been there for our clients providing pharmaceutical expertise and a full service offering. Ricerca provides complete analytical chemistry, synthetic chemistry, engineering and API manufacturing services designed to meet your needs from lead identification to commercial launch. Our experienced chemistry team has a proven track record for excellence in the development, scale-up and manufacturing of small molecule APIs to any regulatory requirement. Our facilities in Concord, Ohio, contain state of the art analytical instrumentation, kilo labs and pilot plant reactors, which allow flexible manufacturing capacities ranging from 22 to 3,000 liters. All services are provided to meet the highest quality standards utilizing cost-effective strategies. 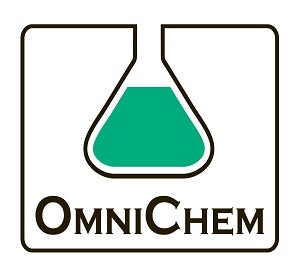 Rohner, Inc. is a Swiss custom manufacturer specializing in organic syntheses of complex molecules. Our core technologies include transition metal catalysis, high-pressure hydrogenations, carbonylations, low-temperature reactions, hydrazine handling and polymerisations. Custom manufacturing with RohnerChem means technology transfer, process optimization, scale-up, piloting and large-scale production of your intermediate or active based on a broad tool box of capabilities and technologies. All laboratory and large scale manufacturing is carried out according to ISO up to cGMP standards. For additional information, please visit our website at http://www.rohnerchem.com or contact us by e-mail: info@rohnerchem.com . SafeBridge Consultants, Inc. ("SafeBridge") is the premier resource for high-level safety, health and environmental support to the pharmaceutical and biotechnology industry. Comprised of industry leaders in toxicology, analytical chemistry and industrial hygiene. SafeBridge has developed the “brand name” in the pharmaceutical industry as a leader in the field of advanced worker protection programs for potent drug handling and risk assessment for product protection. Sanofi - CEPiA Sales is a Sanofi activity dedicated to contract manufacturing services. By employing its exhaustive industrial resources and other resources expected of big pharma, CEPiA provides its clients with "fast to market" solutions. CEPiA offers API and custom synthesis expertise in both small and large molecule chemistry from lab scale through commercial quantities. Additionally, CEPiA offers its extensive drug product capabilities including solids, semi-solids, liquids and parenteral products in vials, pre-filled syringes and devices including formulation optimization, clinical and commercial manufacturing. Selvita is an integrated drug discovery service provider. We offer support at every stage of the early drug discovery, starting from the target identification up to the selection of a clinical candidate. In addition to the contract chemistry services such as medicinal chemistry, in silico modeling, custom organic synthesis, scale-up and process chemistry, we offer biology and analytical services, as well as pharmacological and efficacy testing with in vivo models of disease available for variety of indications. Servier is a global pharma company that has commercialized more than 50 molecules over the last 60 years. We are selling our products in 140+ countries and we invest, each year, 25% of the turnover in innovation and R&D. The business unit “Servier CDMO” was created to bring this expertise to the companies looking for quality, reliability and exibility in their projects. We can cover all the phases from the clinical supply to the manufacturing for drug substance and drug product. The network of 11 facilities across the world with a reliable supply chain can deliver to the partner the benefit of our experience and resources. Shiono Finesse offers contract manufacturing services of API and related services including custom synthesis, process development, and analytical services. Our manufacturing facility is GMP-compliant and has been regularly inspected by FDA as well as other health authorities. We have a capacity for full range manufacturing, from gram-scale of investigational drug development to metric tons of commercial products. High quality services we render are supported by advanced technology and fully implemented quality assurance system. We have long experience in contract manufacturing with many customers. Solid State Pharma Inc. is a leader in the delivery of crystallization engineering services including screening and selection of polymorphs, co-crystals, salts, and crystallization process development and optimization. Solid State Pharma workflows have been developed by combining fundamentals of crystallization and solid state science with years of experience and high throughput techniques. Please contact Mahmoud Mirmehrabi, PhD, at Mahmoud@solidstatepharma.com to set up a meeting at the show. ST Pharm, located in South Korea, is a customer-focused CMO that provides high quality products and services to clients for their successful drug development and commercialization. We offer small molecule APIs and oligonucleotide APIs by and with cGMP compliance, production capacity and technical capability, open communication and competitiveness thereof. Founded in 2004, Sundia MediTech Company Ltd. is a leading China-based CRO providing a broad range of high-quality, cost effective drug discovery and development services. Sundia provides services to over 160 customers globally, including a vast majority of the top 20 pharmaceutical and biotechnology companies, as well as fast-growing biotechnology and specialty pharmaceutical companies and renowned academic and research institutions. The Company conducts its laboratory and development activities in three primary facilities in China: a) Shanghai Zhangjiang Hi-Tech Park; b) Shijiazhuang; and c) Taicang. SynQuest specializes in fluorinated organic and inorganic chemicals, providing a creative and innovative range of building blocks, reagents and compressed and liquefied gases. Synquest is able to assist with your fluorinated and non-fluorinated procurement needs at any scale. Small scale laboratory research and pilot scale at Synquest can be transitioned as the project develops and scales up to custom manufacturing and full commercialization at Central Glass Germany and Japan. TCI is a leading global manufacturer and supplier of specialty chemicals to the pharmaceutical, electronic, cosmetic, chemical, environmental, and biotech industries. Drawing on over 80 years of synthetic organic chemistry experience, TCI develops new technology that produces rare and novel compounds. Our current catalog lists over 25,000 organic and biochemical products for use in research and production with over 8,000 unique to TCI. Our manufacturing capabilities include multi-step synthesis and continuous production from milligram to ton-scale for custom and contract research services. Tepnel Pharma Services is an independent Quality Control Laboratory based in Scotland. With over 40 years plus of supporting stability testing on Tablets, Capsules, Parenteral and Lyophilised Products we provide out-tasking management for biopharmaceutical companies supporting global registration stability programmes. Our lean approach to stability protocol management of multi APIs and drug product programmes facilitates significant economic value as high as 50% cost savings for some programmes compared with standard initiation procedures. As a leading member of our local Life Science Community, advocating Scotland’s shared attitudes and responsibilities, Tepnel has a clear collective identity and set of values; People, Progressive and Principled, ensuring that, Together we are Better. WeylChem is your partner of choice when it comes to novel intermediates, developed under the strictest confidentiality in close cooperation with our customers. We offer custom manufacturing solutions with a broad selection of chemical technologies, from early pilot scale of tens of kg to full industrial scale in the tens of tons range. Our broad range of advanced intermediates and reagents, manufactured under the strictest quality requirements, are used as building blocks and starting materials for innovative pharmaceutical products. Customer proximity is important. We deliver from our facilities, located in Europe and in the US. Yamasa has expanded its business specialized in nucleic acid related compounds which are now used in broad fields such as APIs, pharmaceutical intermediates, food additives, cosmetic ingredients and other industrial products. An enzyme called Nuclease P1 was discovered by our own research which selectively degrades RNA into 5'-nucleotides. In 1957 we invented an efficient separation technology of 5'-nucleotides and established an industrial manufacturing process of nucleic acid-based umami seasoning, inosine 5'-monophosphate and guanosine 5'-monophosphate. Along with our abundant experience and technology accumulated for many years, Yamasa provides products and services which realize your various needs.